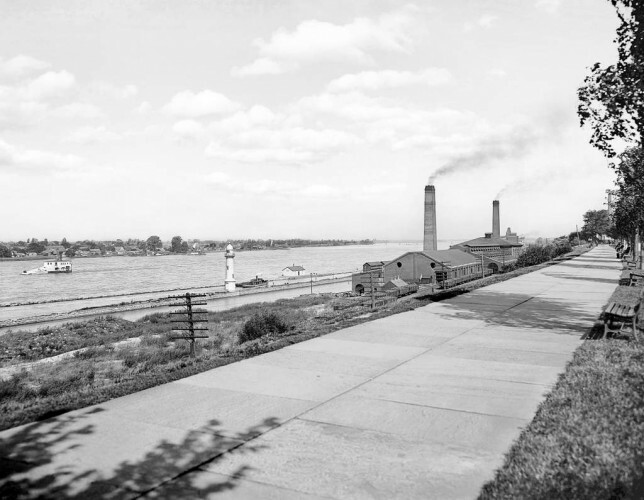 Prior to the formation of a local water company, many Buffalonians depended on “Water John” Kuecherer, a German immigrant who carted water from Lake Erie to residents without a well. Water John was put out of business, however, when Jubilee Water Works began providing well water through a network of wooden pipes. In 1868, the city purchased the company and began construction of an intake system on the Niagara River, which remained in operation until 1913.